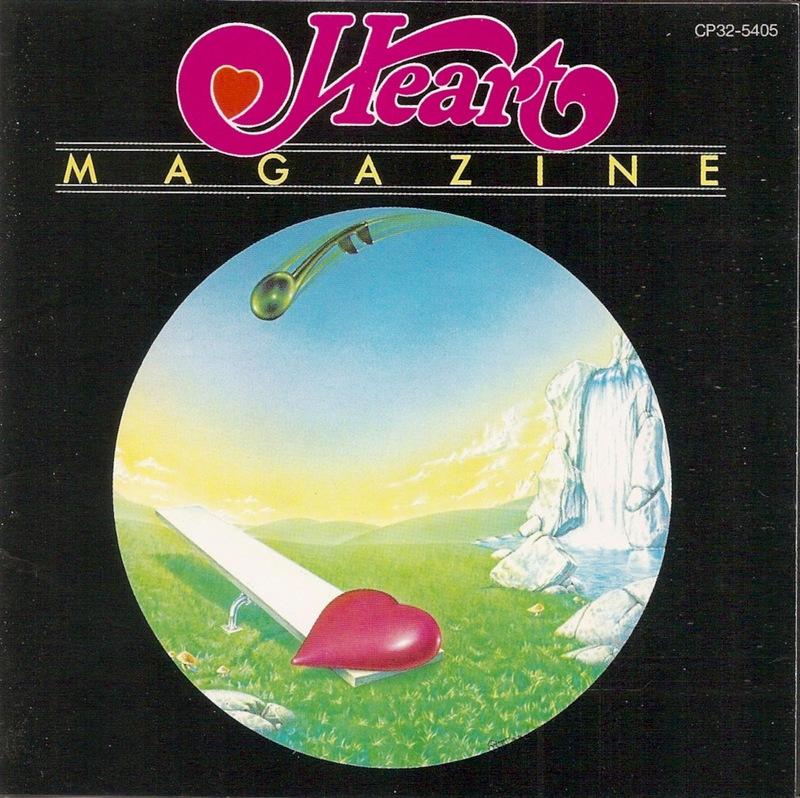 Heart is an American rock band who first found success in Canada. 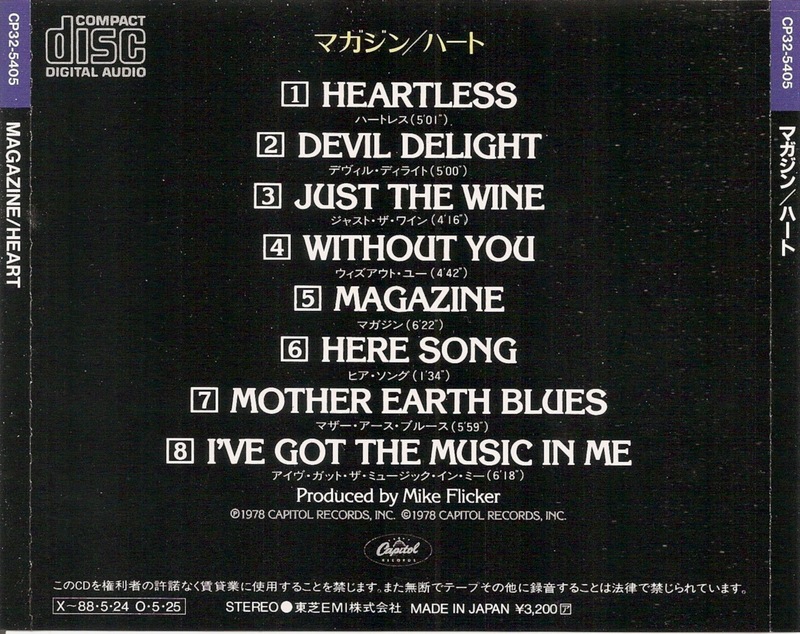 Throughout several lineup changes, the only two members remaining constant are sisters Ann and Nancy Wilson. 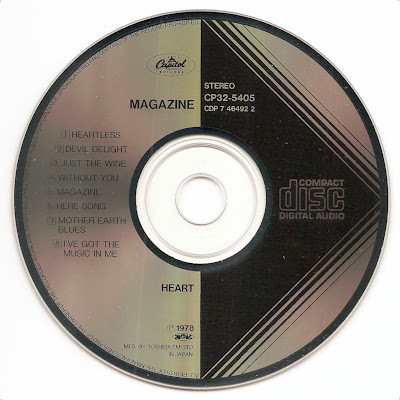 Magazine is a studio album by the hard rock band Heart. 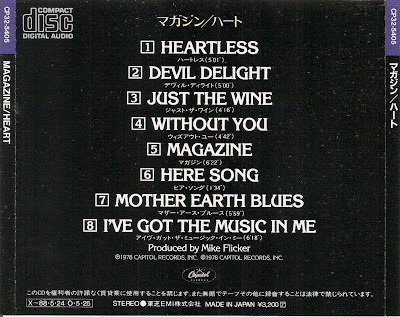 It has an unusual history in that the first release in 1977 was an unfinished version not authorized by the group. 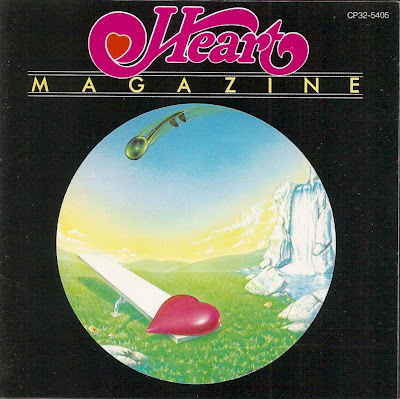 A second authorized version of the album was re-released in 1978.